Maruti Suzuki, the leader in the passenger vehicles has announced a complete revamp of its True Value operations in India. The used car chain operated by Maruti will become much more attractive and transparent with the new makeover. The transformation will make the network of True Value more visible on the road with bugger display areas with a variety of pre-owned cars from Maruti Suzuki. 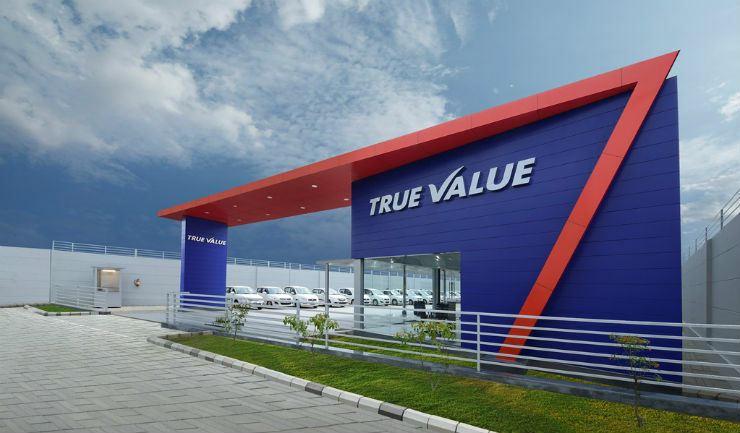 All the outlets will also be digitally integrated through a portal so that customers can get all the details about any Maruti car available at the True Value outlets across India. “We want to offer buyers of pre-owned cars the same experience as buyers of new cars. A network of spacious new outlets, using digital technology for customer convenience, will be a highlight of True Value. Our focus will be on quality cars, refurbished and certified with the assurance of warranty. A star-rating for each car will help the True Value customers to make a right choice”. Maruti Suzuki True Value cars are checked on 376 points which identify the refurbishments and service jobs. The cars are then sent to Maruti Suzuki workshops for various work. The cars are later given points on the basis of six parameters – engine, suspension, brakes, electricals, transmission and steering control and exterior and interiors. The cars also come with one year warranty and multiple free services. Maruti plans to open up to 150 new True Value outlets by March 2018.